In the professional wrestling entertainment business, it doesn’t get any bigger than WrestleMania. World Wrestling Entertainment (WWE) will present the annual extravaganza dubbed “Showcase of the Immortals” TONIGHT (Sun., April 3, 2016) inside AT&T Stadium in Dallas, Texas. 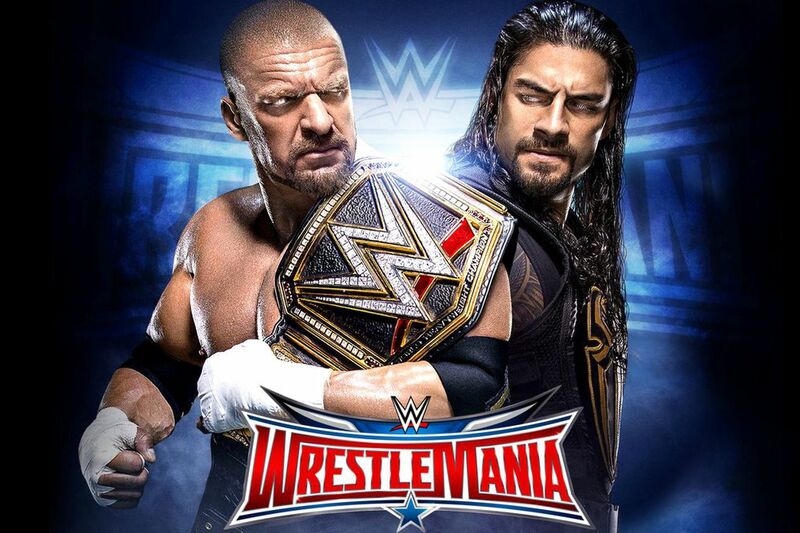 Headlining the massive spectacle will be a championship title fight, as WWE World Heavyweight Champion Triple H defends his title against former title holder, Roman Reigns. Triple H returned to the top of the mountain earlier this year by winning the 2016 Royal Rumble. Coincidentally enough, Reigns was the last person left in the ring for Triple H to eliminate. Now, Reigns will look to regain what he lost a few short months ago after being the first of 30 ment to enter the brutal Royal Rumble. In what is sure to be an action-packed match, Shane McMahon will take on The Undertaker in a Hell in a Cell match for the ages. And it’s not just for bragging rights, as Shane will be fighting for a much bigger prize. Should he defeat the odds and take out The Undertaker, he will gain full control of Monday Night Raw; something he feels was rightfully his all along. HOT TWEETS: Mark Hunt Knockout Swagger Lights Up Twitter!